Home » Pregnancy » Getting Ready » What does a Labor Support Doula Actually Do? What does a Labor Support Doula Actually Do? Have no fear, your doula is here!!! What do labor support doulas ACTUALLY do? This is a question I get a lot and the simple answer is: They support women through the labor process. This support looks different for each person because everyone’s labor will be unique and different kinds of support may be most impactful. There is a very wide range of normal when it comes to labor, and what is typical may or may not be what you experience. Know that everyone usually has one moment of challenge (if not more). This birthing process is a transformation – from pregnancy into motherhood, inside and out. A doula is a great addition to your chosen health provider and because a doula is a non-medical care giver, they will bring all sorts of tools and techniques to support your labor. 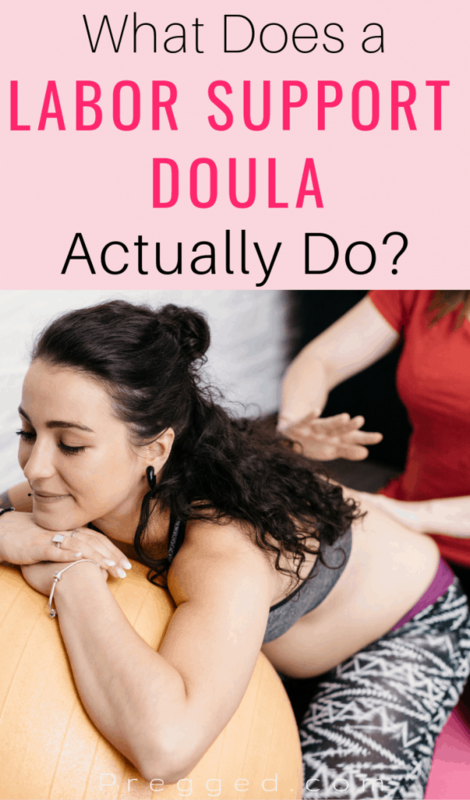 Having a partner is wonderful, but having a doula is different…and amazing! During birth, it is totally normal for you and your partner to forget everything you learned in your birth classes, because you are in it! Or something may arise that you didn’t read about or watch a video on. Doulas are a wonderful support for both mom and partner, because they take the pressure off needing to remember. If you have a supportive partner, great! The doula is not going to replace them in anyway, but instead support both of you and give them a chance to have their own birth experience by your side. Partners are transforming into parents too. Having someone to guide them, remind them to eat, and show them where to put their hands can be very helpful. Before labor begins, you will have had a visit or two with your doula. These visits are a great compliment to the medical care you are receiving during your pregnancy and to any other learning/preparing you may be doing. Typically, your doula will be on-call for you in the weeks before your Estimated Due Date (EDD). Things can get weird as you get closer to birth and your doula is there for you to call – something comes up on an OB appointment, weird sensations in your body, random questions come to mind – your doula is just a phone call away. Most things are normal but having a person to talk to about it is helpful, in addition to your chosen health provider. Labor’s getting started…your doula can come to you! Whether at your home or meeting you at your birth location. Early labor is a time for rest and relaxation, to get the oxytocin flowing. It’s also quite exciting! Your baby is on its way and many thoughts and feelings may come up now. Your doula is there to talk you through it, offer suggestions, and join you when you need that in-person support to work with contractions. Active labor is a doula’s JAM! This is when a doula can support you with bringing baby down. Every baby comes down in a different way and keeps turning throughout labor. As contractions build, a doula will have all sorts of things to offer – breathing, visualizations, words of encouragement, meditation, humor, physical touch, or maybe some good old fashion hand holding. Doulas can remind you to play that song that helps you get through, turn down the lights, or turn on the diffuser with the lavender scent. Or help you get into a shower or bath. They will help you stay hydrated with a sip of water, juice or broth. Counter-pressure and massaging key spots can be huge during this phase of labor. Partners will be kept nourished too and included in the ways that feel right for you. Decisions need to be made? A doula can help you gather what you need to make informed decisions that are right for you and your baby, in the moment. When to go to the hospital? Or call the midwife? What about interventions that may be offered? Interventions aren’t bad in and of themselves, but you want to use them in ways that are right for you, A doula can help you think through what is being offered, explore alternatives when available, but ultimately support you with whatever you choose. This phase of labor often feels very different and it’s time to “do” new things. Your doula may hold a leg or support you in other pushing positions. Partners have the benefit of the doula’s support in helping them find the best place to stand and most supportive things to do – a cold cloth on your head, sips of water between contractions, keeping an eye on your energy level and stamina. The doula is great at calming things down once baby is here. What an incredible moment you all just had! And as all eyes turn to baby, get the most out of this special time. Your doula will keep making sure your needs are being tended to: water, food, getting you cleaned up, help with the first feeding, taking pictures, or grabbing things from your car that didn’t make in yet. Extra hands at this point are often welcome, so you can focus on the incredible baby you just birthed! No matter what happens, your doula is there for you. Labor rarely goes exactly as you plan or imagine it. Being able to manage expectations, to change your plan, or throw the plan out the window are some of what birth offers us. A doula can talk you through things or just be there with you. There are many what-ifs: baby turns breech, emergency situations for mom or baby, how long will this take…a nonjudgmental, compassionate, and knowledgeable doula by your side means you will have whatever you may need, whatever happens. Take Away: Doulas are great. And feeling supported during labor will help you move through this BIG moment. 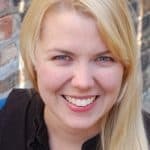 Katy is Birthways Labor Support Coordinator and a Certified Doula through ToLabor. She has worked as a doula for 8 years and even has her own web series that you should check out called: The Doula Is IN.